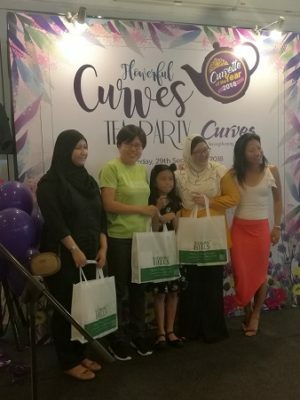 Curves is an exclusive all female fitness centre. The brand originated from United States of America, and the brand was brought in by the CEO, Alison Chin. Alison brought this brand into Malaysia in 2011 seeing that there is a gap in the market for an all female fitness centre. Currently the brand has 6 outlets, throughout Malaysia. 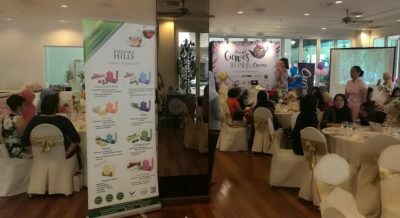 The brand has been growing from strength to strength, as evidenced by the recent Curves Tea Party, where it celebrated stories of inspiring and successful women who achieved great health despite challenges. 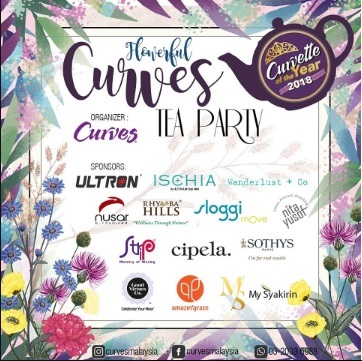 We decided to partner with Curves, seeing that we are very passionate about female health and wellness. After all, Rhymba Hills herbal infusion beverage is excellent for those after a good workout session, as they soothe the tight muscles. The hall was filled with enthusiastic participants, keen to share their joy of achieving their fitness goals, and also to support their friends, who witnesses their journey.